Best known as the actor who played Del on NBC's long-running hit comedy "Caroline in the City" among many other roles, Eric's first passion is fine art and painting. 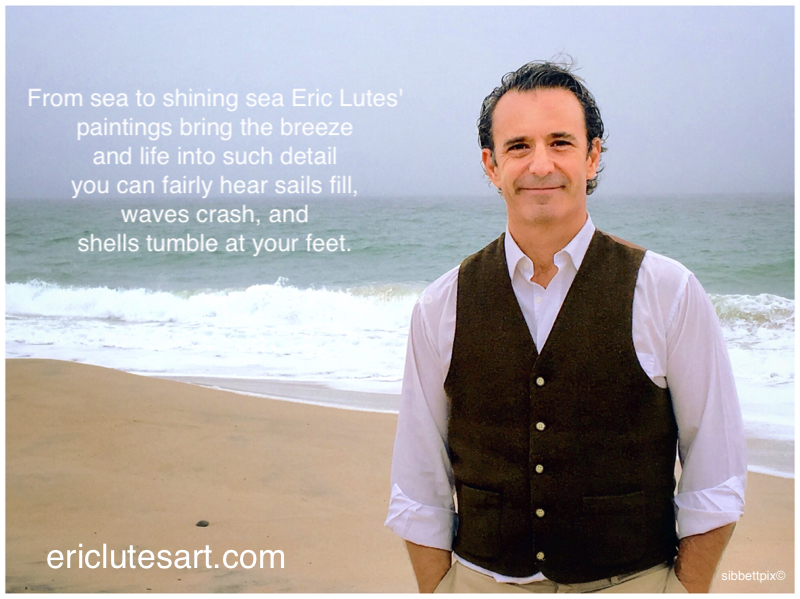 Eric is the son of well known marine artist John D. Lutes, who served as an official portrait artist for the US Navy. He grew up in an art-friendly home on the East Coast. While his father's influence can be seen in his work, Eric has developed a unique and captivating style. When painting quahogs or oysters, he has been referred to as the Georgia O'Keefe of the sea. In addition. to painting and continued work in film and theater, Eric is a Senior Fellow at the Rhode Island Coastal Institute at the University of Rhode Island, Bay Campus. From the sweeping waves of Charlestown beach to the rocky shores of Maine, Eric captures the strength and ever changing quality of the sea. Currently, Eric's work can be seen and purchased at his main gallery, Charlestown Art Gallery in Charlestown, RI, as well as the Matunuck Oyster Bar in Matunuck, RI, and Inspire Medical Spa in Narraganssett, RI.